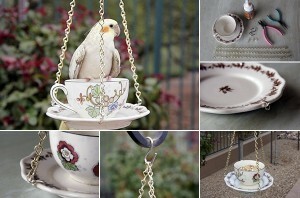 What to Do with Old Tea Cups? 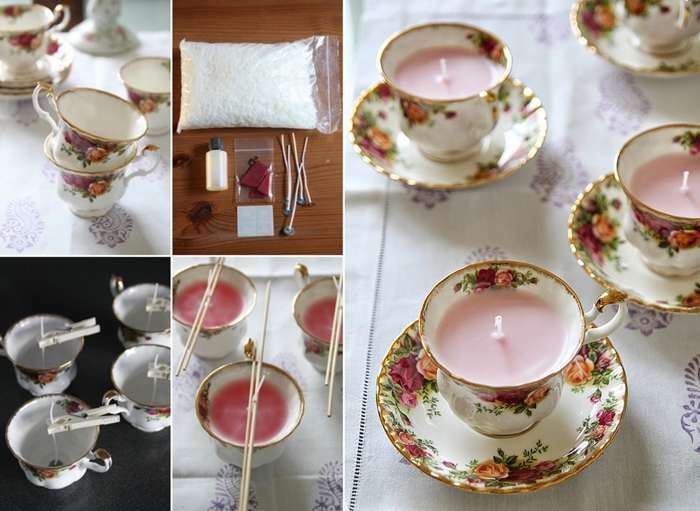 Nisha from My Kitchen Antics wanted to gift something homemade to her friends on Christmas and then she decided to create these wonderful scented candles in vintage teacups. 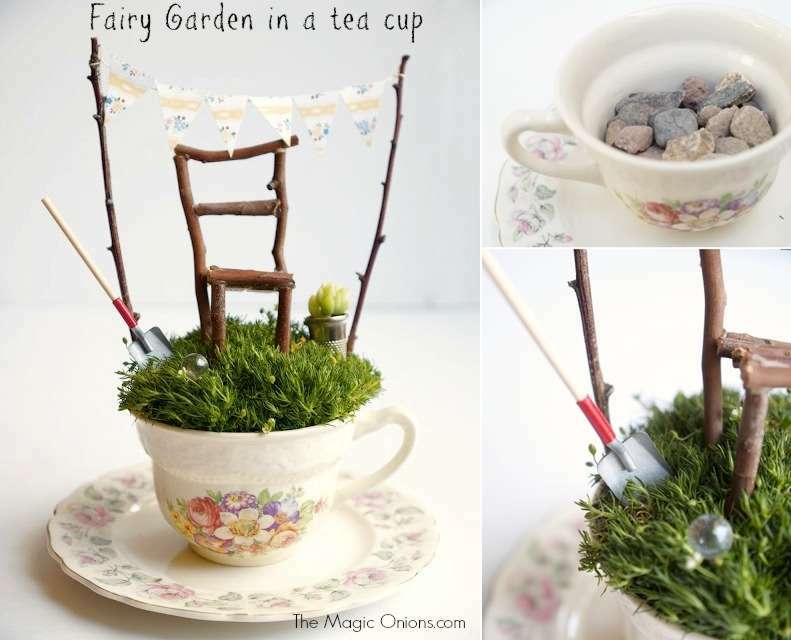 Donni at The Magic Onions crafted this whimsical fairy garden in a vintage tea cup where a stick chair perches over grass in the middle under a cute bunting surrounded by a planter and tools. Kenzie Mastroe, an eHow Contributor shared her lovely project of making a feeder for birds with an old tea cup, a saucer and chains. 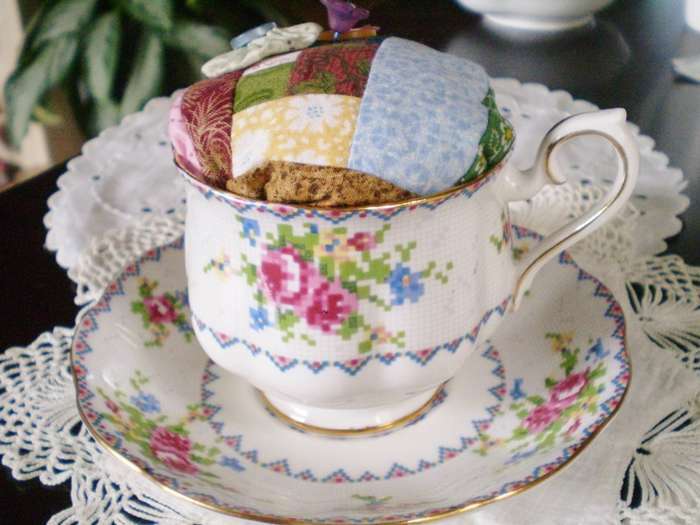 Etcetera Handcrafted via Etsy has got these vintage tea cup cushions to offer that every person interested in sewing would love. 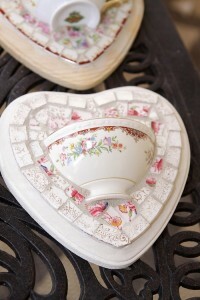 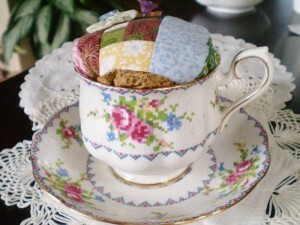 Lilly Cakes Blog shared a way to use broken teacups in the form of wall pockets. This is just gorgeous, isn’t it? 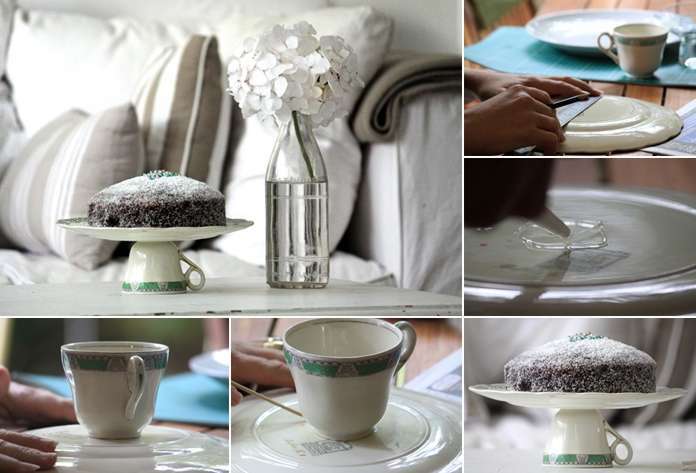 A Guest Poster at A Beach Cottage shared her vintage cake stand made with an old tea cup and a plate. This would be a great addition to a garden party table. 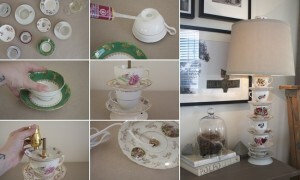 Lacey at Feathering My Nest stacked tea cups and saucers and crafted a coolest ever lampshade base. Now this is called a real genius! 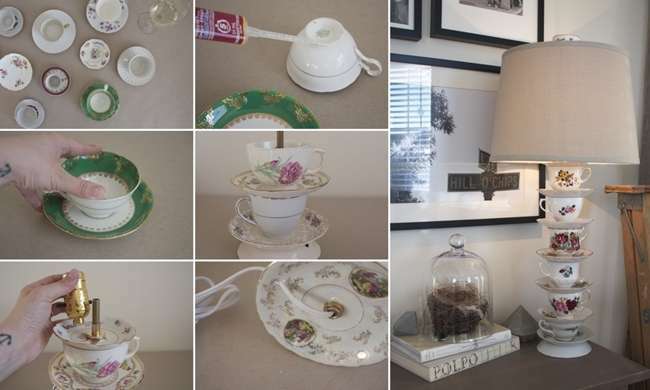 Paige Smith Designs Blog presents a wonderful idea to store your jewelry in vintage tea cups. 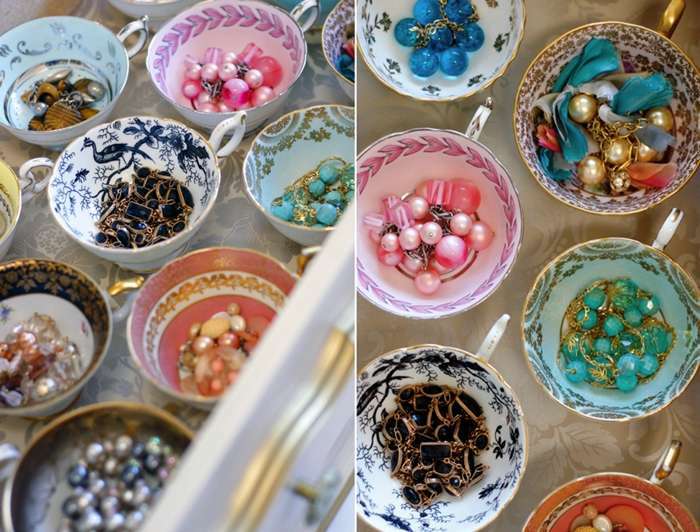 Who said storage options have to be boring? 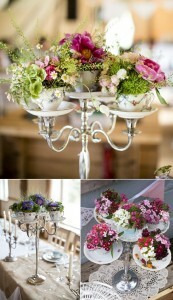 This Candelabra at My Vintage Flower is an ideal option when it comes to vintage wedding centerpieces with flowers. These are definitely going to be the center of focus in a wedding’s decor. 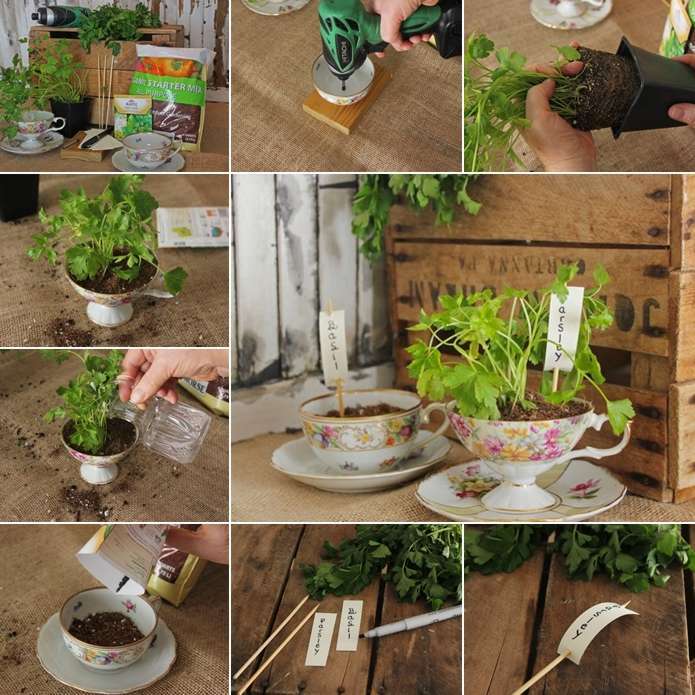 Kenzie Mastroe at Ehow showed us how we can turn our vintage tea cup collection into a herb garden like this one.